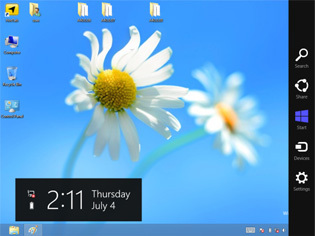 Now, M700D and M970D is available with Windows Embedded Standard 8, providing a touch optimized user interface as well as full access to all windows software. 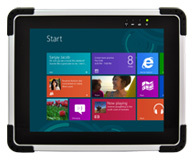 The new metro interface of Windows 8 fit perfectly with our rugged Tablet PC. Handy, Lightweight Tablets have become a tool of choice for data collection, communication, or other numerous computing tasks. Tablet form factor has been recognized as most suitable for many tasks on the road and on the job. Since many of those jobs are outdoors where it gets wet, hot and cold, and were things get dropped or rattled, there is now a need for tablets that are tougher than user can get from consumer based tablet in the market. 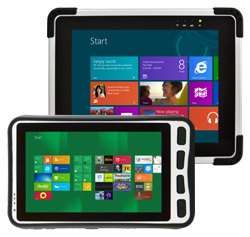 That is where company like Winmate comes in and introduces Our Industrial Rugged Tablet PC Lineup. Tablets don’t have much integrated physical keyboards and therefore completely rely on a combination of touch, hardware controls and onscreen menus and utilities for operation. Quick access to often used functions is important for ease of use and winmate provides a way to make that happen. 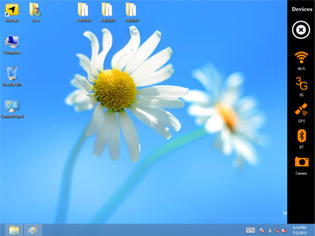 A hot tab key will pop-up on the right of the screen after user press the physical function key on the tablet, this special hot tab keys emulates "The Charms" in the Windows 8. 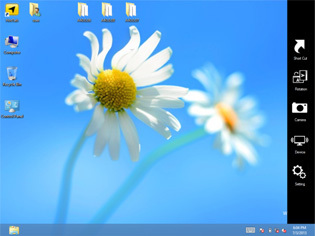 The hot tab or the Charms provide new and faster ways to perform many basic tasks and are always available regardless of which applications users are currently in. Above we can see Winmate Hot Tab key that is used to quickly call up wireless communication devices or perform a screen rotation and also to assign short cut functions. 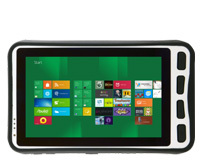 Winmate 7" and 9.7" Rugged Tablet PC is elegant with superb display, convincing implementation of capacitive touch, and good performance make it interesting proposition for any users who wants that effortless, elegant tablet functionality, but in a more rugged package and of course with Windows 8.